Unhaunt houses and banish ghouls! 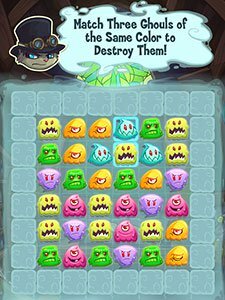 Mix and match ghouls and ghosts in this brand new game from the creators of Neopets! 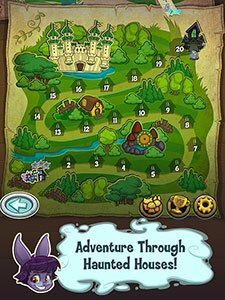 Brave Bren, the Professor, and Glyn need your help- phantoms and ghouls have escaped from the Haunted Woods and taken over the world. 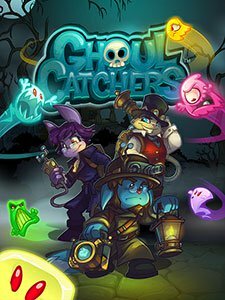 Join this professional team of Ghoulcatchers on their quest to make the world safe again! You’ll need to make matches of three or more to banish the scariest of spirits and unhaunt these houses. 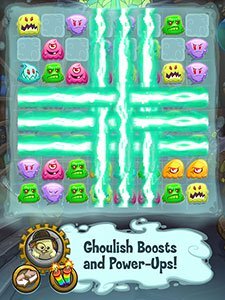 Combine four or more ghouls to create special tiles or use game-changing power-ups to clear the board! EARN REWARDS: Earn Neopoints and exclusive Neopets items! POWER UPS: Power-ups like Ghoul-Be-Gone and Tailchaser can help you out in tough times! EXPLORE NEOPIA: Venture through different lands like Brightvale and Faerieland. ADOPT A PETPET: Have a Petpet companion accompany you on your journey. TONS OF LEVELS Catch ghouls in 40 levels of increasing complexity - more coming soon! 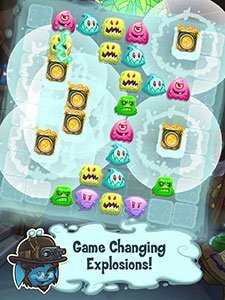 Ghoulcatchers is free to play, but contains in-app purchases for additional items such as power-ups that grant you extra lives and help you in the game. You may lock out the ability to purchase the upgrade by disabling in-app purchases through your device's settings. Registration information is optional (children under 13 require parent registration). You will be able to be notified of game updates and new features along with integration to the online virtual world Neopets.com.